What is hemp? Sure it’s a plant, and you probably know that it has something to do with marijuana and cannabis. But do you know the difference between the three? If that feels like child’s play then how about this, what’s the difference between hemp oil, full spectrum hemp, CBD, THC, PCR oil, Cannabidiol oil, CBD isolate, Raw CBD, and whoa let’s stop there? If you’re confused by any of the above terms, then you’re in the right place. Hemp and marijuana are both derived from the cannabis plant, however, there is one critical thing that separates them: tetrahydrocannabinol. Better known as THC there is a good reason you’ve heard so much about it whenever marijuana is mentioned — it produces euphoric effects and gets you high. The more there is of it, the higher you get. Marijuana has a lot of THC — recreational marijuana strains found in dispensaries average between 15-20%. Hemp on the other hand naturally doesn’t have a lot of THC thanks to the environment this cannabis variety comes from. With selective breeding practices and other common farming practices, THC can be completely removed. In fact, hemp is legal under federal law if it contains less than 0.3% THC, grating it the labeled “industrial hemp”. This amount poses no risk to health and cannot get someone high. As we dissect hemp, you’ll be surprised to see how complex this little plant is — and understand why there is so much confusion. 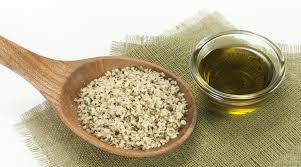 There are two completely different oils that are derived from hemp. The first is hemp oil or more appropriately called hemp seed oil. As you can guess, this oil involves the seeds and solely the seeds. By cold pressing the seeds, we derive an oil splinting at the stems with healthy fats like omega 3s and 6s. CBD oil comes from the resin found in flowers of hemp plants which are rich in phytocannabinoids and terpenes. Remember THC? THC is a phytocannabinoid, but unlike the vast majority of them, it’s psychoactive. There are at least 113 different phytocannabinoids in cannabis plants but only around 5-10 show any psychoactive properties. But all except THC are poorly psychoactive, they don’t produce any notable euphoric effects when consumed — CBN which makes you tired but CBN starts out as THC, so it’s not in hemp. While non-psychoactive, phytocannabinoids will still interact with receptors in our bodies that regulate and repair biological functions from inflammation to stress to regulating hunger. They do this because they closely mimic endocannabinoids we naturally reproduce. So they don’t cause you to get high, but they can reduce pain, anxiety, etc. in a non-tangible way like an over-the-counter pain medication. Which CBD Version Is Right For Me? There are several versions of CBD on the market, and this is due to them having different routes they can take in the overall creation process. When we first extract CBD oil from hemp, we have a raw CBD or phytocannabinoid extract. Non-active — Phytocannabinoids cannabinoids like THC, CBD, CBG, etc. start out with a carboxyl group (weak acids) that prevents them from binding to cannabinoid receptors in the body. When heated due to combustion or a decarbing method, they lose this group allowing them to fit on receptor sites. This is why if you eat raw marijuana you don’t get high. Unactivated cannabinoids and their effectiveness are not well understood, and as such, not recommended for first time CBD users. Unactivated cannabinoids are notated with a lowercase “a”: THCa, CBDa, CBGa, etc. As you can tell by the name, this oil has been heated or decarbed to removed the carboxyl group that prevents the cannabinoids from attaching to numerous receptors found in the body. Now, when a cannabinoid becomes activated, it does not necessarily mean they become psychoactive. The carboxyl group prevents THC from being psychoactive, but it doesn’t add something to it. So CBD will always remain non-psychoactive along with the other cannabinoids. Speaking of them . . .
Full spectrum CBD oil is the version the large majority of people take because it’s the most effective — this version includes all pet CBD. The reason it’s the most effective is it’s not just CBD or cannabidiol in the oil. While, likely the most therapeutic and potent cannabinoid in cannabis, you should think of it as a leader, not a lone wolf. When isolated, CBD has a difficult time passing the blood-brain barrier and typically requires high dosages. CBD relies on some of the other cannabinoids and terpenes’ ability to open the blood-brain barrier up for the rest of the molecules in hemp. This interweaving relationship extends itself in numerous ways, and we still don’t fully understand this complex relationship. However, when isolated many people struggle to feel the full extent of CBD’s effects compared to full spectrum CBD oil. So because the majority of CBD oil is not just CBD, there is push away from the term. This is why you’re seeing the term full spectrum hemp used, phytocannabinoid rich (PCR) oil, or whole plant used. You’ll also see the term “the entourage effect” which notes the synergistic relationship found in hemp. Active Full spectrum CBD oil derived from hemp is what you should look for when first trying these products. As well, you’ll likely want to avoid marijuana CBD products. Unmatched in purity and quality, distilled CBD oil is the top dog of CBD products. And of course, as top dog, there is confusion about it as well. Distillation is a decarbing method that goes a step further and isolates the cannabinoids and terpenes from each other and non-beneficial plant material. It does this by simply heating the extract up at various boiling points individually releasing the molecules. With all the molecules in their own little vials, they can be mixed and match in different ratios highlighting different properties of hemp. However, that degree of this manipulation is still a year or so off. Currently, companies are using distillation to remove non-beneficial plant matter then mixing the cannabinoids and terpenes back together. This creates a more potent oil with a more pleasant flavor as chlorophyll creates a strong bitter and grassy flavor in unfiltered CBD. To further this confusion — because why not — there are CBD products with hemp seed oil in them. The hemp extract loaded with all of those cannabinoids and terpenes requires a fat, so it’s properly absorbed into the body. This is why you’ll always see a carrier oil such as coconut oil, MTC oil, or hemp oil mixed into the CBD product. Full spectrum hemp with hemp oil is a mighty fine CBD product to have as it keeps the product all hemp. This is not only great for you but for the environment as a carrier oil, like coconut oil, doesn’t have to be shipped in from faraway places. Hemp can grow pretty much anywhere, and its ability to replace a plethora of products cannot be understated. And hey, it costs down on production costs which hopefully is returned to the customer.